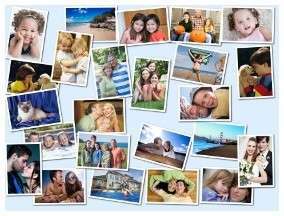 Create your very own photo jigsaw puzzle! Amazing box, choose your style, add text! As the competition level in every industry is soaring high, every business today has to work hard to stay on top of the competition and to keep their brands popular among their target audience. Jigsaw puzzle is the most popular and valuable personalised gift.It is ideal and unique as a gift for an anniversary, birthday, Christmas, someone recovering n the hospital, or even for yourself. 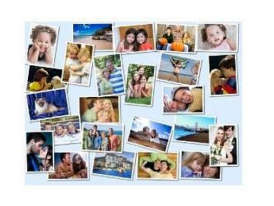 A photo jigsaw is very popular and unconventional way to mail a puzzled message. 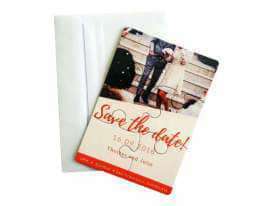 Upload your digital image with your order.It will then be converted into a highest quality custom jigsaw. Find out more about our beautifully packed jigsaws and the high quality of our photo products. The use of jigsaw puzzles in marketing campaigns in order to introduce new products or services is a unique way to catch people's attention. Puzzle card is easy to assemble but definitely impossible to ignore if it appears on your desk as a direct mail shot. Using advertising photo shots of your product connected with promotional text offers many interesting and novel ways to get your message across effectively. Promotional puzzles are not designed for skilled assemblers. 6 or 15 puzzle pieces can be put together by anyone in a short period. This product (unlike the others) will hardly end in the bin. As a manufacturer, we can supply you with one or more retail photo products based on photographs or artwork that truly reflects your own individual area. Re-sell jigsaw puzzles based on local places, famous views, or interesting locations as well as offer your customers something that they cannot find anywhere else. For a quick quotation, simply fill our enquiry form in the contacts page. Are you a photographer, designer or painter? 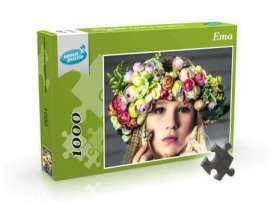 Your artwork can be turned into valuable and custom packed jigsaw puzzle. Unique reproduction gifts of a high quality are not easy to find. Our custom made jigsaw puzzles allow you to offer something different and special.